The final trailer for The Maze Runner: The Death Cure is here. Though the final movie in the Maze Runner trilogy had a troubled production, the movie is in the can and is positioned to be one of the first potential blockbusters of 2018. 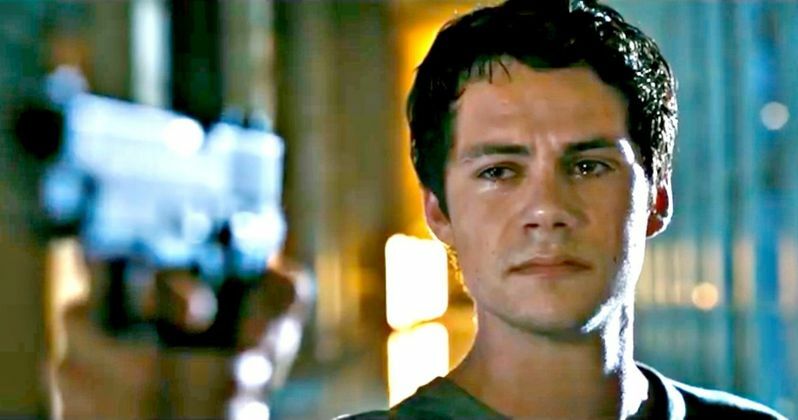 Now, 20th Century Fox has released the second and final trailer for Maze Runner 3, giving us by far our best look at the final chapter in the series. Based on this new footage, it's going to be an action-packed, emotional and very intense conclusion. Fox waited quite a while to start marketing Maze Runner: The Death Cure, considering that the movie is set to be released on January 26, 2018, and the first teaser was released just a couple of months ago. And that first teaser focused almost entirely on a single action set piece, which is again included in this full-length trailer. Though, this time around we get a lot more footage and a much better sense of the story. The Gladers are going to have to return to the land controlled by WCKD and, by the looks of things, not everyone is going to make it out of this one alive. In Maze Runner: The Death Cure, the epic finale to the Maze Runner saga, Thomas leads his group of escaped Gladers on their final and most dangerous mission yet. And, if you've seen the first two movies, that's really saying something. In order to save their friends, they must break into the legendary Last City, a WCKD-controlled labyrinth that may turn out to be the deadliest maze of all. Again, a bold statement. Anyone who makes it out alive, and some are sure to die along the way, will get answers to the questions the Gladers have been asking since they first arrived in the maze. It all ends here. Maze Runner 3 was originally slated to come out in February of 2017, but in March of 2016, star Dylan O'Brien was severely injured while filming a motorcycle stunt for the movie. The actor suffered a concussion, a facial fracture and several lacerations. So Fox delayed the production in order to allow for O'Brien to heal and he looks to be doing just fine in this new trailer. The movie also stars Kaya Scodelario, Thomas Brodie-Sangster, Giancarlo Esposito, Aidan Gillen, Ki Hong Lee, Barry Pepper and Patricia Clarkson. Director Wes Ball returns to round out the Maze Runner trilogy, which has proved to be a kind of low-key, successful franchise for Fox. The Maze Runner and Maze Runner: The Scorch Trials made a combined $660 million at the worldwide box office. Though, the second entry was a bit of a step in the wrong direction. Let's hope the series can finish strong with this one. Be sure to check out the final trailer for Maze Runner: The Death Cure, courtesy of 20th Century Fox YouTube, for yourself below.